Unlike This Guy, A typical Capitals game involves me turning on the television around 7:07 (For a 7:00 Game). I am usually just in time for the opening faceoff, although sometimes I do miss the first few seconds of the period. During each intermission I find something to do. My favorites include running out to Taco Bell, taking a shower, or getting in a few minutes of Zelda or Call of Duty. I put NHL game center on my computer and use that to tell me when the period starts up again. When the Caps game is over I waste no time firing up the DVR to watch whatever shows I missed during the game. While the postgame conference with the coach is happening I am usually already well into an episode of Parks & Rec or the previous night's Workaholics. All in all I catch about 0 seconds of Comcast Sportsnet's coverage of the game. However, there is another person who is the complete opposite of me. Obviously both of those stories are complete exaggerations. Many of us fans keep the TV on for the entire broadcast and see Smokin' Al's iterviews, the terrible Comcast around the league highlights, and Alan May yelling at the Caps. We catch Chick Hernandez and whatever chick is next to him trying to pull of some comedy bit based on puns. But we also miss a lot of good stuff that is going on if we aren't paying full attention to the TV. That's where Action On The Ice comes in. 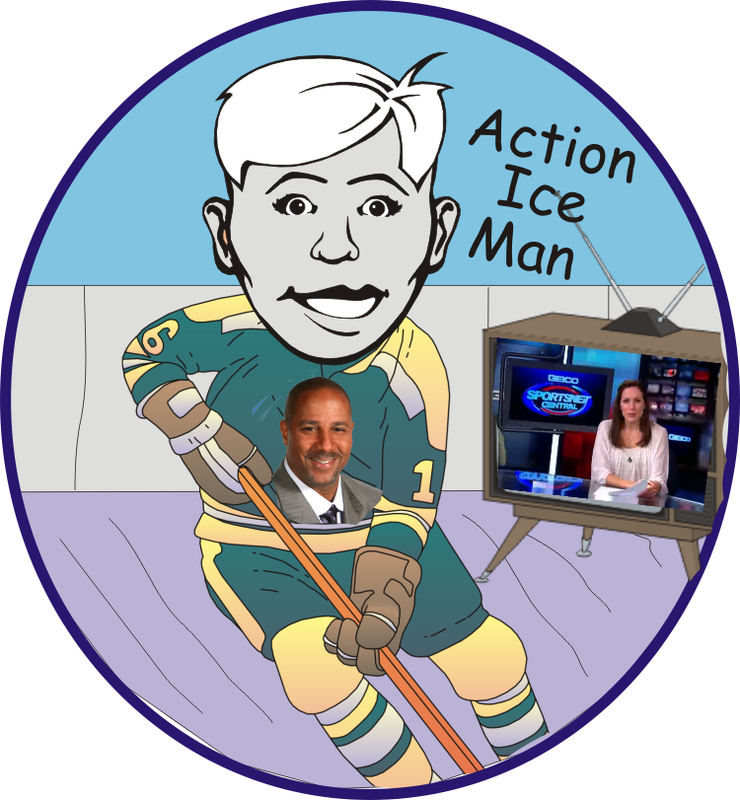 Action On The Ice is a new blog that takes a look at all the people who cover the Caps each night on TV. Check It Out! "This blog is going to be all about the Comcast Sportsnet crew who keep us company through the intermission breaks and after the game. They keep us level headed when we are winning and and stop us from crying when we are losing."